Police are investigating two cases of vandalism in Boston. 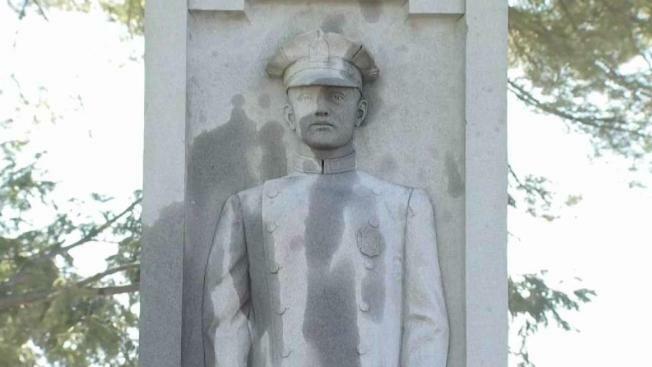 Authorities in Boston are continuing to investigate the vandalism of memorials at two locations in the city. 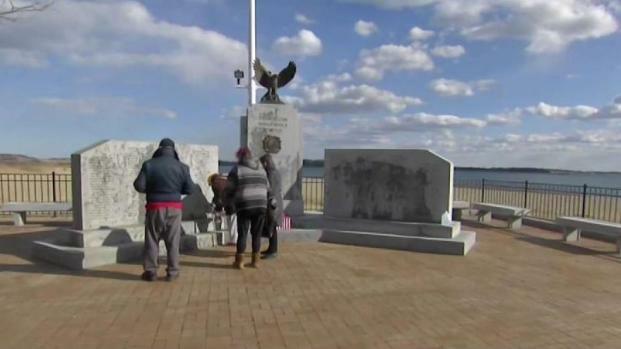 Workers have been pressure washing, steaming and scrubbing, trying everything under the sun to remove the oily stains from South Boston's World War II Memorial — the first monument in the city to been vandalized in recent days. "We will get them," Mayor Marty Walsh said of the vandals. "We'll find them and they'll be prosecuted." A number of monuments at the Mt. Hope Cemetery in Mattapan have been desecrated in a similar manner, apparently with the same liquid. One of them is the granite tribute to fallen Boston Police officer. The vandalism of a World War II memorial hits close to home for loved ones mourning the loss of its creator, a veteran of the war. "I think it's a disgrace," said Marty Taylor, a member of the Boston Elks. The group's memorial at Mt. Hope was untouched. It's where Taylor's brother is buried. Like a lot of other people, however, he finds the vandalism unsettling. "They just want to upset everybody, and that's what they doing," Taylor said. Back in South Boston, stone refinisher Joe O'Bryan was removing a cleaning agent that had been applied 24 hours earlier in hopes of lifting the stubborn stains from the war memorial. The initial results looked promising. "I think it might've done the job. I'm just hoping and praying that the oil didn't work its way so deep into the body of the stone that it can't come out." Officials are investigating to determine when exactly the vandalism took place. Anyone with information on the incident is encouraged to call state police at 617-740-7710. 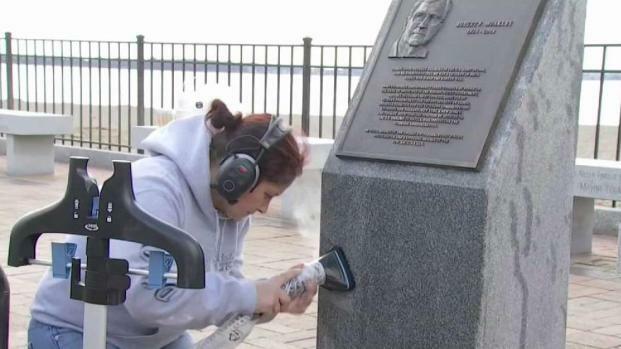 There is growing concern about how to clean up a vandalized World War II memorial in South Boston.